John school districts from across Ohio, and across the country, as they interview teachers for next school year. The Teach Job fair is FREE and open to all current student teachers, alumni, and community licensed-teachers. Please contact Libbey McKnight for information or questions. Contact information is: elizabeth.mcknight@utoledo.edu or call 419-530-4967. 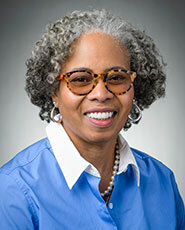 Join The University of Toledo’s Judith Herb College of Education and Office of Diversity and Inclusion, with Toledo Public Schools, for an evening with Dr. Gloria Ladson-Billings, national expert on urban education. Ladson-Billings will discuss why diverse teachers matter to the success of all students and how the community can play a role in supporting current teachers and building a diverse teaching force for the future.